Christmas is well and truly on the way and next month it will be time to open our advent calendars and as a comper, to enter lots of advent competitions. 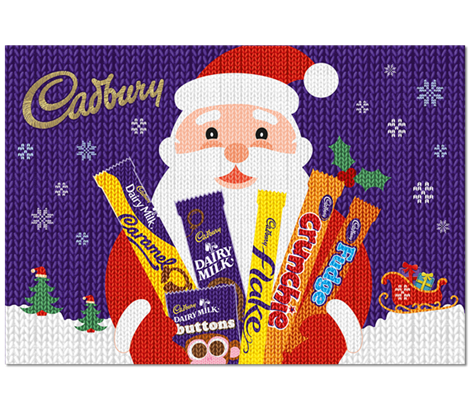 So I thought it would be lovely to do a little competition to win some Cadbury advent calendars and selection boxes. 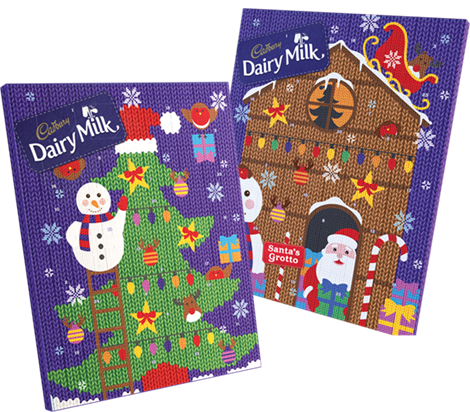 One winner will win 2 x Cadbury Advent Calendars and 2 x Cadbury Selection boxes. The competition will end on the 27th of November so that I can get them in the post to arrive for the 1st of December to open the first window. I would have to say Cadbury caramel. Cadbury flake, with its crumbly chocolate it is just irresistible. I used to love fuse bars! From Bethan Joy- thanks for the giveaway! Depends on my mood, as they are all nice. Fruit and nut perhaps moreso. Without a doubt it's the Cadbury Marvelous jelly bean bars. I ate waaay too many of those last year. Is my favourite and will always be!! Cadburys dairy milk without question! I love chocolate so almost any of Cadbury's is fine by me, but I really do love their Wispa bars. Marvellous creations with popping candy and jelly beans! Favourite Cadburys chococlate bar has to be Boost. Loved the guarana green version before too. Flakes (especially with ice cream)!